Employer Retaliation for FL Workers' Compensation Claims | Law Office of Andrew G. Rosenberg, P.A. Can my employer retaliate against me if I file a workers’ compensation claim? No. Florida law specifically prohibits employers from retaliating against workers who make valid workers’ compensation claims. Fire you or threaten to fire you. Retaliation for filing a workers’ compensation claim doesn't have to be the only reason for your discharge, intimidation, or coercion. However, it must be a substantial factor in the retaliatory actions taken by your employer. 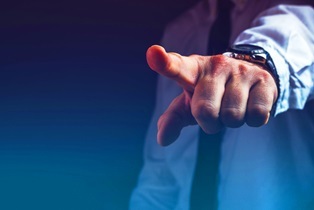 Your employer is unlikely to admit the reason you were fired or experienced a form of retaliation was because you fired a workers’ compensation claim. In order to prove that your employer retaliated against you, you have to look to other evidence. Statements from supervisors or managers encouraging you not to seek medical treatment, encouraging you to come back to work before you have medical clearance to do so, or minimizing your injuries. The timeframe of when you were fired, demoted, or other action was taken against you. This timing may indicate the action was in response to your workers’ compensation claim. A sudden change in job responsibilities after you're hurt. A pattern of behavior that shows how the employer acts when an employee makes a workers’ compensation claim. Other behavior, notes, emails, and documentation may also be useful to your case. Florida is an employment at will state. This means employers can fire employees at any time, without cause, but they may not fire employees for a reason specifically prohibited by state law. Firing or otherwise retaliating against an employee who files or attempts to file a valid workers’ compensation claim is against the law. If this happened to you, it's important to protect your rights to workers' compensation. Call the Law Office of Andrew G. Rosenberg, P.A., or use the brief contact form on this page to learn more.